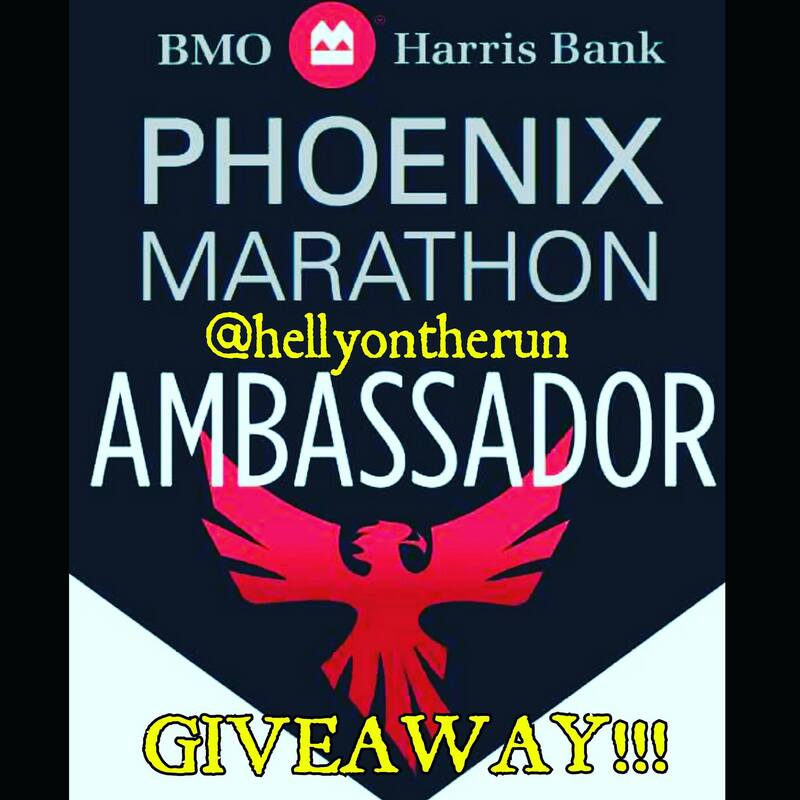 Phoenix Marathon Ambassador and an Instagram GIVEAWAY!!! Check out my Insta for deets! Happy Hump Day!! It certainly is in HellyLand as I’m so happy to share with you that I was chosen to be a Phoenix Marathon ambassador 😀 If you’ve been reading this blog a while, then you’ll remember this was my very first marathon back in 2014. Each year since, the race has given me some pretty special moments–my first DNF in 2015, and my current half PR in 2016. You’re probably thinking how my DNF could be “special” but it was. I learned so much from that low moment as much as learned from my high at this year’s race. and I love that so many of my friends do it. It’s just a big running party. For it being *the* Phoenix Marathon, it’s not a huge race (yet) so it has a real homey feel to it. The start of the full has bonfires to keep us warm (it’s cold here in February! 50 degrees cold!) and fireworks to send us off. It’s also a race many are finding out is a good course to BQ. Good ‘ol Suz killed the course last year and several of my friends have come out of there with qualifying times. –Do you have a local race you always participate in? 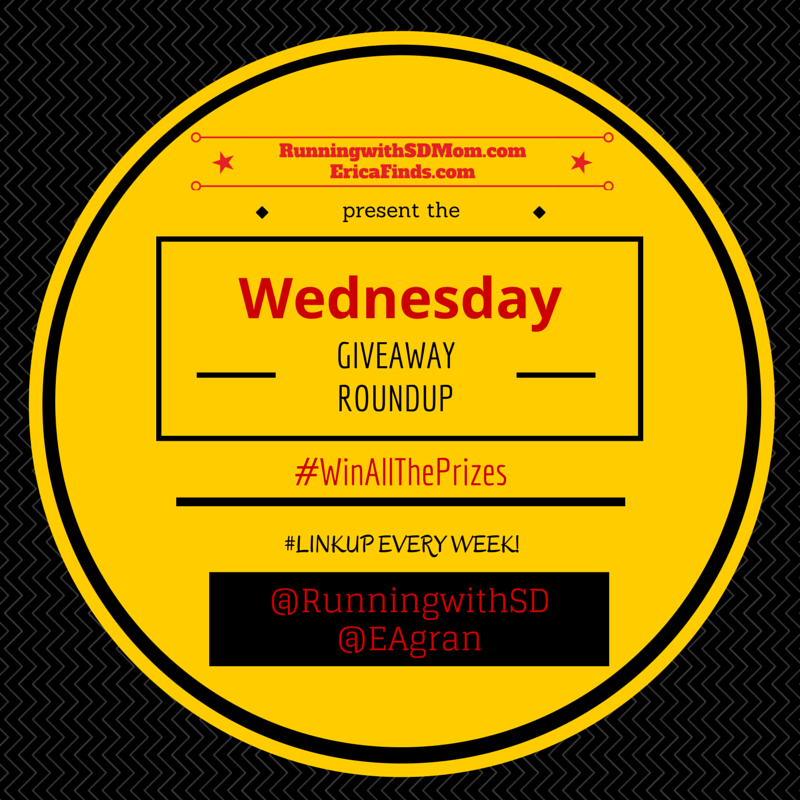 Linking up with Smitha and Erica for their Wednesday Giveaway Roundup!! I’ve mentioned numerous times before the awesome running group I’m in. It’s a pretty large group of about 80 or so regulars–not all run on the same meet up days, but cumulatively, that’s about the average people active in our group. Anyway, I’m pretty good friends with everyone but not many know I blog. (It’s one those things you just don’t announce, you know? lol!) A couple of months ago, a friend in the group, Mark, who does know I blog, told me about a product a friend of his had designed. It’s a shoe lace but not your normal shoe lace. He showed them to me as he had them on as we spoke and they did indeed look very interesting. No loose strings? No bunny ears? As he taught me how to lace them properly, he gave me a little background on his product. Jason is a triathlete and in preparation for a 70.3 Ironman a while back, he found that he was losing precious seconds tying his shoes getting off the bike. Lo and behold, inspiration for Slick Laces was born! He knew other products like it existed but what he wanted–and what he created–was a no-tie lace that can be reused. Similar products are sold for a one-time, one-shoe use but not Slick Laces. End of the road for your current shoes? No problem, transfer the laces to your new pair. **Will my shoe be loose or become loose after taking it off and on? The answer was no. 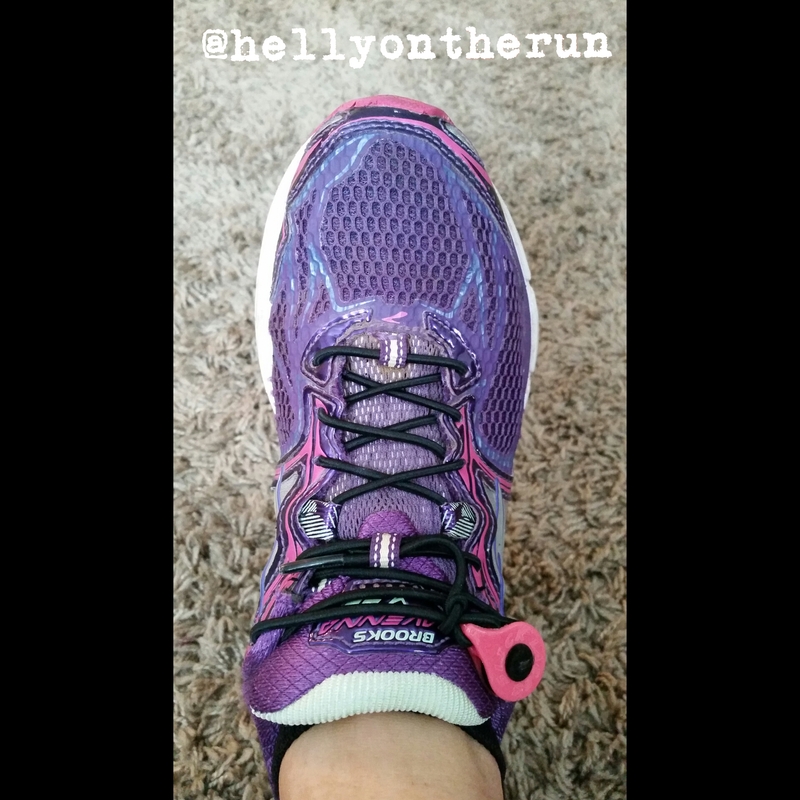 When you first lace up the shoe, you decide how tight you want it (not crazy tight because you need to put it on) but you can still create a snug feel because the laces expand. They expand but they DO NOT become loose-er as you wear them. The Snap Disc (the pink part on my laces) prevents that from happening. I’ve taken them out for a few miles already and they’re just as snug as the first time I put them on. **What do I do with the excess lace? Do not cut. Cutting prevents you from being able to re-use the lace as the length my differ in your next shoe. Cutting will also cause the lace to fray. Instead, it is recommended you tuck the excess lace underneath the crossing of your shoe. I do not feel the excess lace at all when I have the shoe on. I also don’t think there’d be a crazy amount left over for it to be an issue. Doesn’t matter. You can tie your Slick Laces any way you want. –Easy installation. The instructions on the back are thorough and the company does a good job of detailing further in its video online. –No more worrying about your laces coming untied. The worst is when you’re mid-race and have to stop to tie your shoe. Then you of course have to tie the other to make sure both are equally tight, right? Not a problem with Slick Laces. –For the triathlete, when you’re transitioning from bike to run, all you gotta do is slip on your shoe. –I tie my shoes the good ‘ol fashion way but have friends who do it differently. They’re not singled out with this product. –Not just for runners. Slick Laces would be great for my kids as they begin to transition into big boy/girl shoes (kid lengths available) and for my grandma who is over having to bend down and tie her shoes (love you, Nana!). –Not at a lot of color options for the Snap Disc at the moment (hello, where’s purple?!) but they have the basics down. –Currently, laces only come in black. Jason was sweet enough to gift me another pair to give to ONE OF YOU!!! You’ll get to choose the color of the Disc so check out their website! 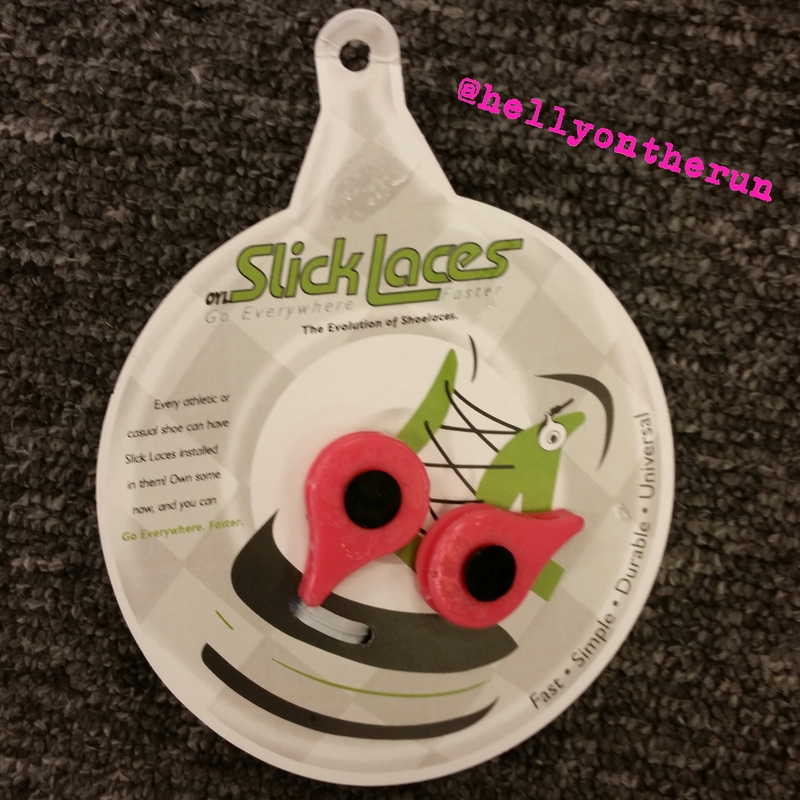 I was provided with a pair of Slick Laces to review but as always, opinions expressed on my blog are honest and my own. 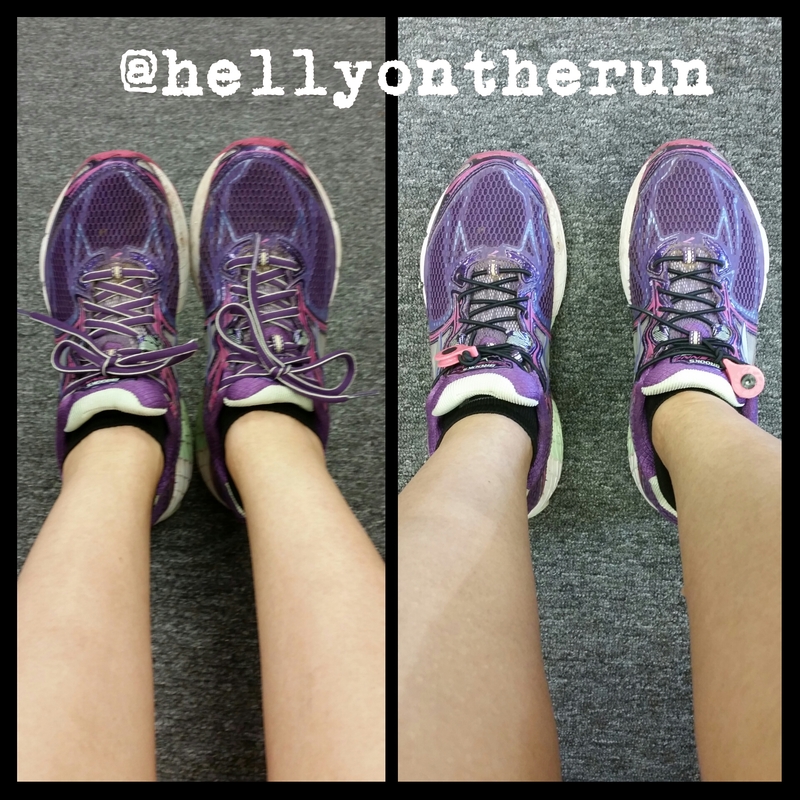 –Have you ever had to tie your shoe(s) mid-race? –Were you taught to tie your shoes using Bunny Ears? 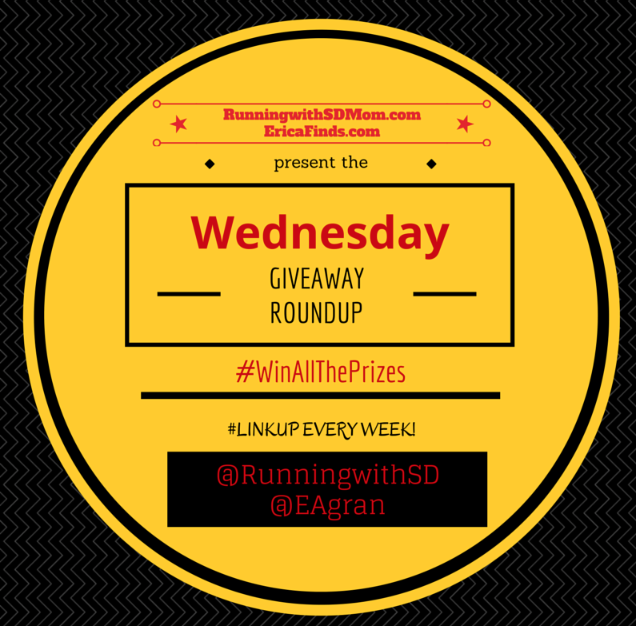 Linking with Smitha and Erica for the Wednesday Giveaway Roundup!! Thanks gals!! I was approached by the yummy Rockin’ Refuel to participate in Phoenix’s Warrior Dash on April 11th but if you look to your right,… a little lower…, there! The giveaway is happening on my Instagram so you’ll have to go there to enter (a bonus: you’ll get to see some random pictures of random things I see and pictures of my feet/shoes 😀 ) A winner will be chosen Friday, 12 p.m.
At first I was really bummed. Normally, I don’t do races like the Warrior Dash but because Rockin’ Refuel was a part of it, I was more inclined to do it. 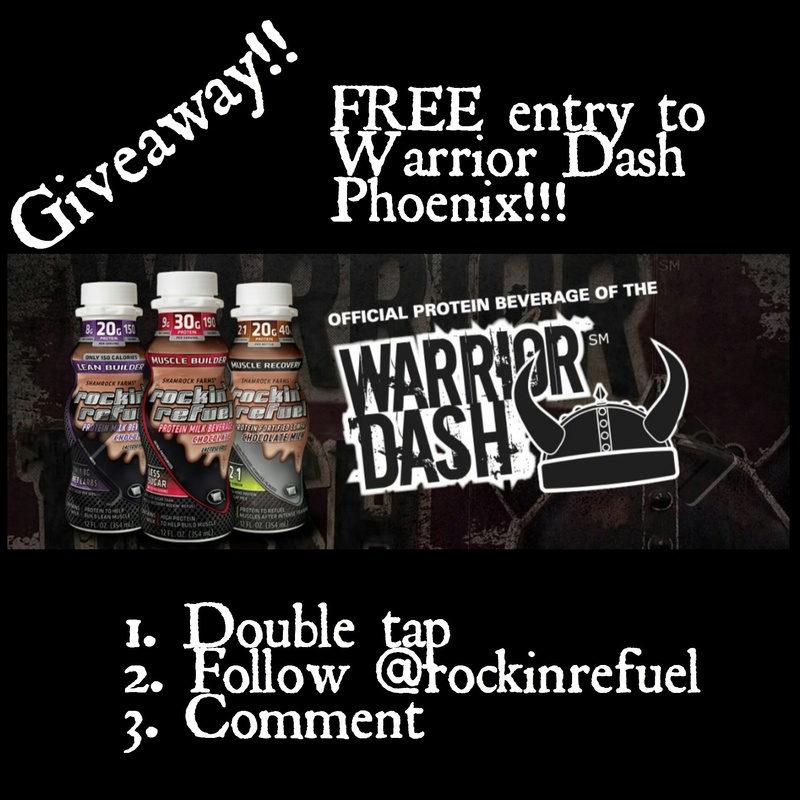 If you’re not local or somewhere in the vicinity of Phoenix, I still suggest you check out the Warrior Dash and absolutely, most definitely give Rockin’ Refuel a shot if you haven’t already done so. P.S. I was given two free entries for this giveaway. All opinions expressed in the post are truly my own. 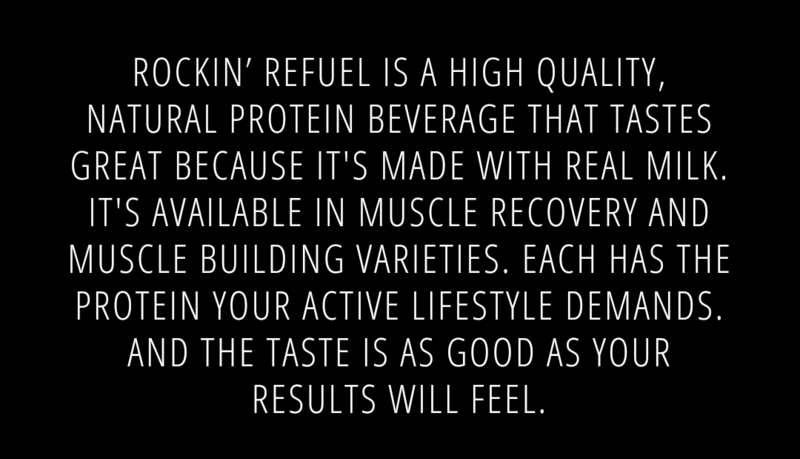 Rockin’ Refuel legit is yummy. P.P.S. And everytime I hear or say the word Warrior, I think of Scandal’s song.. “I am the warrrrior!! !” No? Anyone? Bueller? –Do you drink chocolate milk for recovery? Linking up with SD Mom and Erica Finds on their weekly Wednesday Giveaway Special! Check out their pages for more awesome giveaways! !